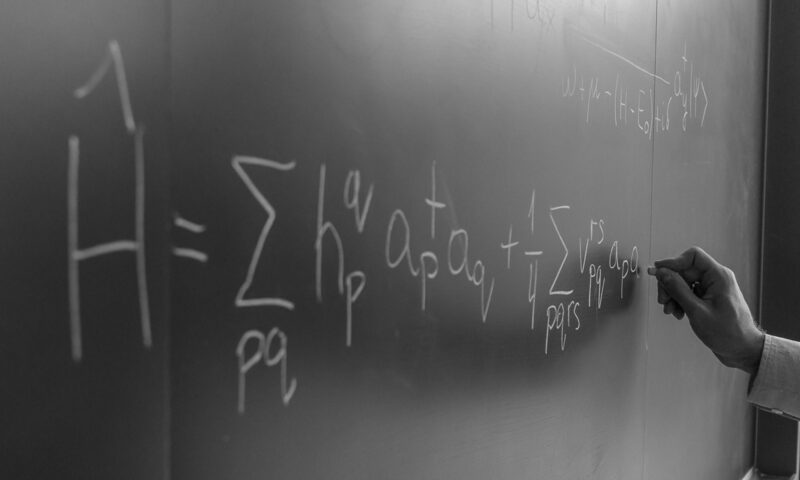 We are a new theoretical chemistry group at the Ohio State University. Research in our group aims to develop new theoretical methods for the simulations of light-induced and non-equilibrium processes in chemical systems with complex electronic structure. April 20, 2019 : One more time congratulations to our undergraduate student Ruojing Peng who received two awards: ACS Physical Chemistry Division Undergraduate Award and Hypercube Scholar Award! We are proud of Ruojing’s accomplishments! April 11, 2019 : Congratulations to our undergraduate student Ruojing Peng who has officially accepted an offer to start Ph.D. at the California Institute of Technology in the Fall semester of 2019! We wish her enjoyable, productive, and successful Ph.D. experience! March 9, 2019 : Alex will give an invited lecture at the Pacifichem 2020 conference, which will take place in Honolulu, Hawaii from December 15 – 20, 2020. February 21, 2019 : Samragni and Ruojing presented posters at the 59th Sanibel Symposium on St. Simons Island, Georgia, and Ruojing won the best undergraduate poster award! Congratulations, Ruojing! February 20, 2019 : Check out the updated Research page! February 11, 2019 : Ruojing’s paper describing application of linear-response density cumulant theory to simulating X-ray absorption spectra has been accepted for publication in the Journal of Physical Chemistry A! In addition to publication as a regular article, this paper will be featured in the “Young Scientists” virtual special issue of this journal! January 16, 2019 : Alex was invited to give a talk at a workshop on electron-density-based approaches to time-dependent processes that will take place on June 24 – 26, 2019, at ETH Zürich, Switzerland. December 23, 2018 : A new preprint describing our work on simulating X-ray absorption spectra using linear-response density cumulant theory appeared on ArXiv. This project was lead by our undergraduate student Ruojing Peng. December 17, 2018 : Graduate student Ilia Mazin joins our group as our second graduate student! Welcome, Ilia! November 30, 2018 : Our multi-reference ADC paper has just been published in the Journal of Chemical Physics! November 9, 2018 : Our paper about multi-reference algebraic diagrammatic construction theory has been selected as an Editor’s pick in the Journal of Chemical Physics! November 9, 2018 : Our undergraduate student Ruojing Peng received Undergraduate Research Scholarship! Congratulations, Ruojing!!! October 21, 2018 : Alex was invited to give a talk at the ACS Meeting in Orlando, FL (March 31 – April 4, 2019). September 24, 2018 : Alex will give an invited talk at the ACS Meeting in San Diego, CA (August 25 – 29, 2019). September 9, 2018 : New paper “Multi-reference algebraic diagrammatic construction theory for excited states: General formulation and first-order implementation” from our group is available on ArXiv! August 23, 2018 : Autumn Schultz joins our group for a rotation. Welcome, Autumn! July 15, 2018 : Our paper about linear-response density cumulant theory was published in JCTC. July 2, 2018 : Koushik Chatterjee joins our group as our first Postdoctoral Researcher! Welcome, Koushik! June 22, 2018 : Alex gave an invited talk at the 50th Midwest Theoretical Chemistry Conference in Chicago, IL. June 18, 2018: Graduate student Ilia Mazin joins our group for a rotation. Welcome, Ilia! April 8, 2018: Our new paper about linear-response density cumulant theory for excited electronic states is available on arXiv. March 28, 2018: Alex will give an invited talk at the 50th Midwest Theoretical Chemistry Conference that will take place in Chicago, IL (June 21 – 23, 2018). Our group is currently looking for highly enthusiastic and motivated graduate and undergraduate students interested in developing and applying computational methods to study the electronic structure, nonadiabatic dynamics, and non-equilibrium electron transport in complex molecular systems. 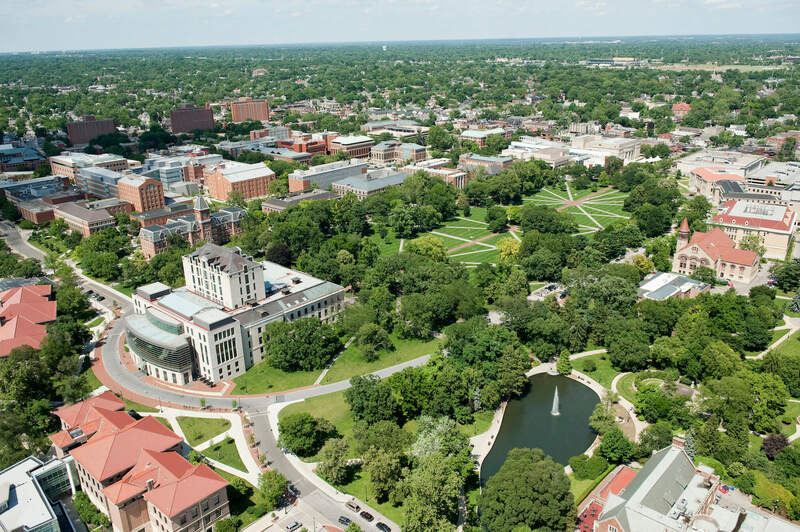 Prospective graduate students are encouraged to apply to the Ohio State University Ph.D. program in Chemistry or Chemical Physics. Interested undergraduate students are encouraged to contact Dr. Alexander Sokolov about the possibility of performing research in our lab. Our group is seeking for a motivated and qualified postdoctoral scholar to perform research on the development of electronic structure methods for the study of ground and excited electronic states of strongly correlated systems. Applicants must have obtained Ph.D. in theoretical/computational/quantum chemistry or physics by the start date of the appointment. Strong written and verbal communication skills are highly desirable. The ideal candidate should have significant experience developing and applying electronic structure methods, and be proficient in scientific programming (Python and/or C/C++). Interested individuals are requested to send CV and contact information of two references directly to the following e-mail address: sokolov.8 [at] osu [dot] edu. “Simulating X-ray absorption spectra with linear-response density cumulant theory”, R. Peng, A. V. Copan, and A. Yu. Sokolov, J. Phys. Chem. A 123, 1840 (2019). “Multi-reference algebraic diagrammatic construction theory for excited states: General formulation and first-order implementation”, A. Yu. Sokolov, J. Chem. Phys. 149, 204113 (2018). “Linear-response density cumulant theory for excited electronic states”, A. V. Copan and A. Yu. Sokolov, J. Chem. Theory Comput. 14, 4097 (2018). “Time-dependent N-electron valence perturbation theory with matrix product state reference wavefunctions for large active spaces and basis sets: Applications to the chromium dimer and all-trans polyenes“, A. Yu. Sokolov, S. Guo, E. Ronca, and G. K.-L. Chan, J. Chem. Phys. 146, 244102 (2017). “Psi4 1.1: An Open-Source Electronic Structure Program Emphasizing Automation, Advanced Libraries, and Interoperability“, R. M. Parrish, L. A. Burns, D. G. A. Smith, A. C. Simmonett, A. E DePrince, E. G. Hohenstein, U. Bozkaya, A. Yu. Sokolov, R. Di Remigio, R. M. Richard, J. F. Gonthier, A. M. James, H. R. McAlexander, A. Kumar, M. Saitow, X. Wang, B. P. Pritchard, P. Verma, H. F. Schaefer, K. Patkowski, R. A. King, E. F. Valeev, F. A. Evangelista, J. M. Turney, T. D. Crawford, and C. D. Sherrill, J. Chem. Theory Comput. 13, 3185 (2017). Symposium “Quantum Mechanics: Strong Correlation”, 257th ACS National Meeting in Orlando, FL (March 31 – April 4, 2019). Workshop “Fundamental Challenges of Electron-Density-Based Approaches to Time-Dependent Processes and Open Quantum Systems”, ETH Zürich, Switzerland (June 24 – 26, 2019). Symposium “Computational Quantum Chemistry: From Promise to Prominence”, 258th ACS National Meeting in San Diego, CA (August 25 – 29, 2019). Symposium “Computational Quantum Chemistry: Synergism Between Theory and Experiment”, Pacifichem 2020, Honolulu, HI (December 15 – 20, 2020).